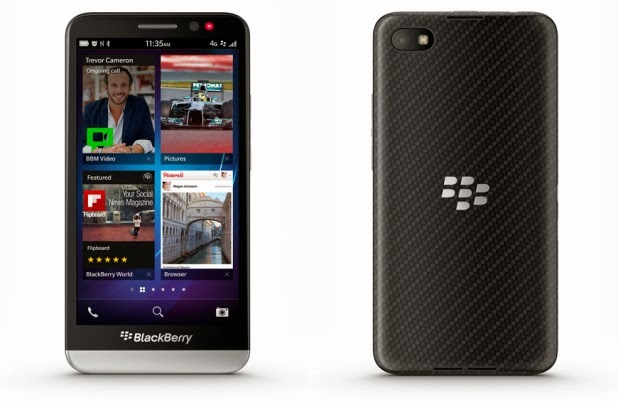 Specifications BlackBerry Z30, satriaonblogger- today will provide the latest information on BlackBerry Price this month Z30 and Z30 Specifications BlackBerry. Latest Gadgets from BlackBerry Z30 Specifications, features and price info will be presented at this post . Announce BlackBerry Z30 in following Specification detail - After a long wait the BlackBerry Z30 (Z30 BB) finally officially introduced complete with specifications pinned on the latest whiz gadget of BlackBerry is including supports 4G LTE network. BlackBerry Z30 earlier in the specification that much into rumors and puzzles, this Smartphone Arm 5 inch Super AMOLED screen resolution of 1280 x 720 pixels color density reaches 295 ppi with chipset Qualcomm Snapdragon S4 Pro processor speed of 1.7 GHz dual core RAM plus 2GB and Adreno 320 GPU. BlackBerry Z30 camera contained in two parts: Rear camera with 8 megapixels Traffic Auto-Focus, Back Side Illumination, 5 element F2.2 lens, flash, continuous and touch to focus, image stabilization, Proprietary Enhanced Super, Resolution Digital Zoom (5x) , 1080p HD video recording, while the front camera is 2 megapixels Fixed-Focus, Image & video stabilization, 3x digital zoom, 720p HD video recording. Connectivity and data available Wi-Fi: 802.11 a / b / g / n, 2.4GHz / 5GHz, 4G Mobile Hotspot, Bluetooth 4.0, USB 2.0 High Speed ​​- Allows charging USB port and the data synchronization of the device with a USB "A" to micro-USB "B" cable, OTG USB, Micro HDMI, NFC, Digital Living Network Alliance (DLNA) Server with the latest BlackBerry operating system OS 10.2 and the battery capacity of 2,880 mAh. Price information that will be on offer and likely will go to Indonesia until now there has been no official word from the BlackBerry.